Each of our hotel room offers excellent facilities, modern Mediterranean décor and plenty of space. Many also boast unobstructed sea views, and you will be able to watch the colourful fishing boats bobbing on the water from the comfort of your balcony or the rooftop swimming pool. Meanwhile, as a cosmopolitan commercial and entertainment district, our neighbourhood of St Julian’s surrounds you with many of the best restaurants, bars and shops that Malta has to offer. We reached by following the coastal road west from the capital city, Valletta. From the airport, follow on the main road north to Marsa which will lead to the Regional Road. Proceed west, looking for the exit sign to St Julian’s. We are situated around 14 km from Luqa International Airport just 25 minutes by road along the north-east coast should you hire a car or take a taxi from the airport. Take bus route x2 outside the airport direct to the hotel. The service runs from 05.50 till 22.50 every day. 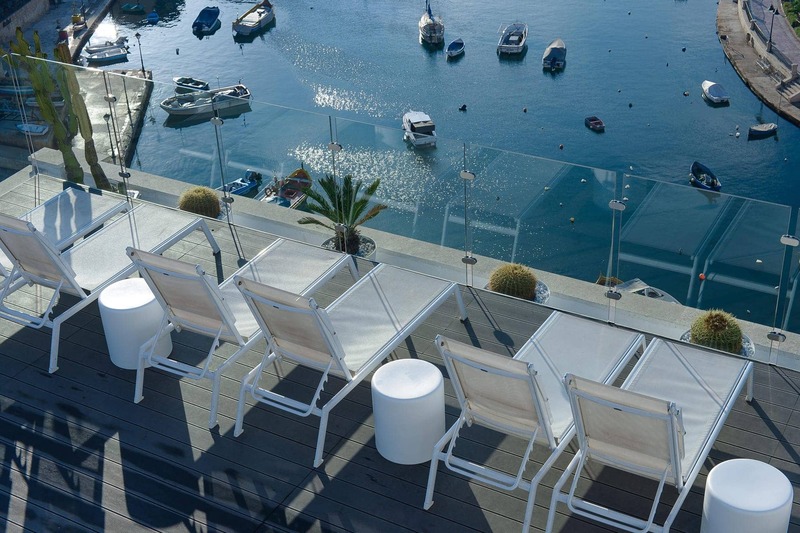 The Barracuda Restaurant of local and International renown is housed in a lovingly restored 18th century villa, located just over the water`s edge and overlooking the spectacular view of Balluta and Spinola bay. Piccolo Padre is a family-run seafront pizzeria and trattoria in St Julian’s. Bay Street Tourist and Shopping Complex offers you a great mix of high street brands, quality independent shops, restaurants, services and family entertainment. At Park Towers Supermarkets we have dedicated ourselves to ensuring that we stock great brands at great prices. The Dragonara Casino is housed within the majestic Dragonara Palace and has been operating since 1964 offering a unique gaming and entertainment destination 24 hours a day, 7 days a week. Look out for colourful fishing boats unloading their daily catch! Experience our special views for yourself from one of our seaview suites.